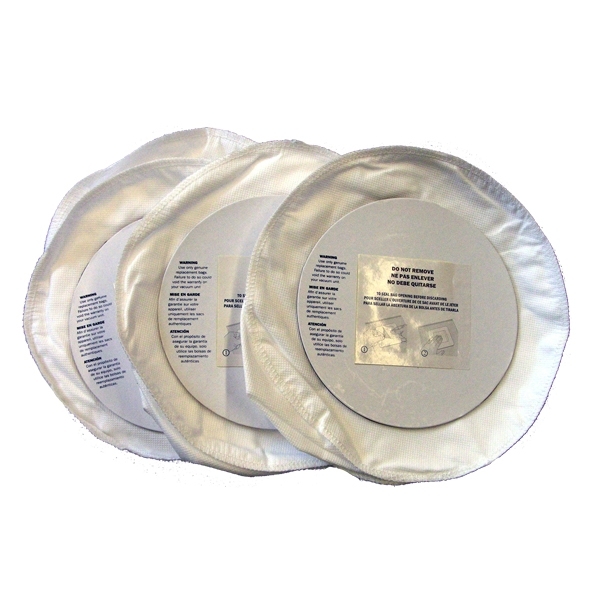 Package of 4 disposable bags for our Galaxie GA20 central vacuum power unit. Bags for Small Cyclovac Central Vacuums. 3-Layer HEPA 11. 2-Pack. Bags for Large Cyclovac Central Vacuums. Paper. 3-Pack. Replacement Belt for T210/Turbocat Power Brush Bags for Beam Eureka Central Vacuums. 3-Layer HEPA 11. 2-Pack. Disposable Bags for Sweep-Away Cabinet Vacuum - 3 Pack Replacement Belt for T22 Rug Rat Hand Held Power Brush Reusable Zippered Capture Bag for HairJet Salon Vacuum Bags for Large Cyclovac Central Vacuums. 3-Layer HEPA 11. 2-Pack.